Nearly 1,000 people from all sectors , were present for the ceremony near the Wales Millennium centre which revealed the bronze statue of Mahatma Gandhi on the 148th anniversary of his birth – which is also now the International Day of Non-Violence. The Honorary Consul for India in Wales Raj Aggarwal, speaking at the event said: “Today is a great day for Cardiff, Wales , UK and the World. 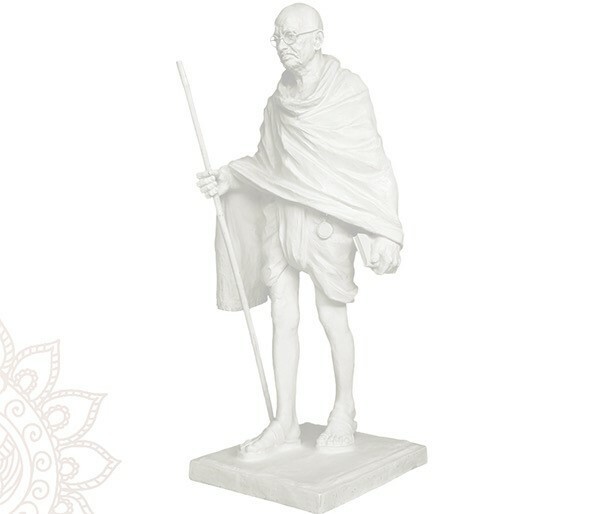 I feel we are truly blessed to have this statue which will bring the presence of the great Gandhi ji on our doorstep. The 300kg statue is 6 foot high and was created by sculptors Ram Sutar and his son Anil, from Noida, near Delhi. It shows Gandhi standing with a staff in one hand and the Hindu book The Bhagavad Gita in the other and wearing home-spun traditional Indian clothing. The unveiling event was also attended by the great-grandson of Mahatma Gandhi, Mr Satishkumar Dhupelia who has travelled from South Africa for the ceremony. Mahatma Gandhi is revered throughout the world as the man who led India to freedom with his campaign of non-violent resistance, and on August 15th India celebrated 70 years of independence. The statue will stand in Cardiff Bay, on Lloyd George Avenue, CF10 4QH, near the Wales Millennium Centre.